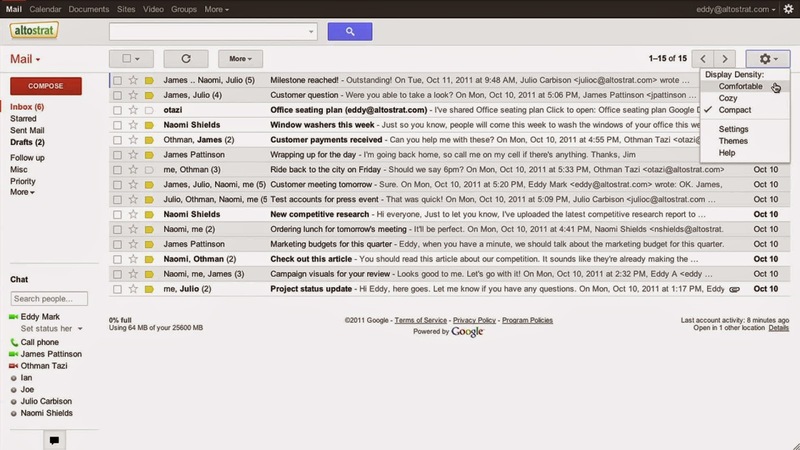 I was looking around again and I found some more things about the new Gmail design that i want to share with all of you. 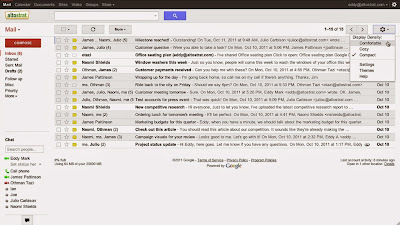 First, I found a new image of the new Gmail design that show us the new design that will be coming to Gmail for Google Apps. The image doesn't show any new things, It's the same design we saw before with the logo of Altostrat, a company that Google always use as example for videos of Gmail for Google Apps. The second thing that I saw is that Google changed the name of the video I shared with you before (from Product_Demo_v4_1080p to Gmail's new look), maybe because those changes are coming soon, maybe this week? [1/11/2011] Update: Google finally decided to release the new design.